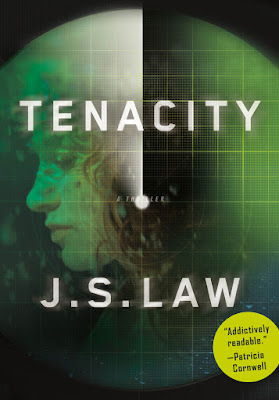 MY BOOK, THE MOVIE: J. S. Law's "Tenacity"
J.S. Law joined the Royal Navy in 1993 as an apprentice and went on to serve for twenty years, the latter half of this career spent in the Submarine Service. He rose through the ranks, taking a commission as an engineering officer in 2001, and serving as a Senior Engineer and Nuclear Reactor Plant Supervisor, where his responsibilities ranged from the safety and operation of the submarine’s nuclear power plant to hydraulic plants, fridges and toilets; it was the latter of these tasks that brought the majority of any pressure. His final years in service were spent training submariners in the role of Senior Lecturer in Nuclear Reactor Engineering, where he lectured and mentored future submarine operators of all ranks and rates. 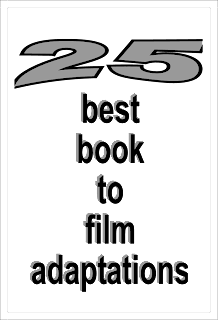 Having written short stories and novels throughout his naval career, Law completed an MA in Creative Writing at Portsmouth University shortly before leaving the navy in 2013, completing his debut thriller, Tenacity, shortly afterwards. Tenacity centers on the investigation of a Royal Navy sailor's apparent suicide on board HMS Tenacity, a nuclear submarine, only days after his wife’s brutal murder. Lieutenant Danielle "Dan" Lewis returns to the Navy’s Special Investigation Branch after a self-imposed exile to face the tight-knit, all-male crew of Tenacity commanded by The Old Man. Her investigation intersects with the wife's murder investigation headed by Felicity Green. Dan is reunited with John Granger, an investigator with whom she has a complicated history. Who would play Dan? Honestly, if it were a movie, I’d say Jennifer Lawrence would absolutely nail the part; she’s far and away one of the most talented actors/actresses in the world and her performance in American Hustle, particularly, was just outstanding. I think she’d bring exactly the right blend of power and confidence to the role, but still show the vulnerabilities in Dan’s character. I think Jack Nicholson as The Old Man would bounce off of Jennifer perfectly and it would be a real war between these two powerful characters. The way he played his part in A Few Good Men would really resonate with the way The Old Man runs Tenacity and I think he’d do that role justice. For Felicity, what about someone like Halle Berry? She would really suit that role. Or maybe Nicole Kidman. Again, I think either would work well with Lawrence, supporting her as she progresses through the dangers in the plot. Felicity is slightly older than Dan and the two become fast friends, but Felicity brings a little ice to Dan’s fire and so the actress would need to do that too – sort of a mentor, but in a way that Dan doesn’t necessarily have to admit she’s being mentored. Visit J. S. Law's website.